It's something we've been capable of. 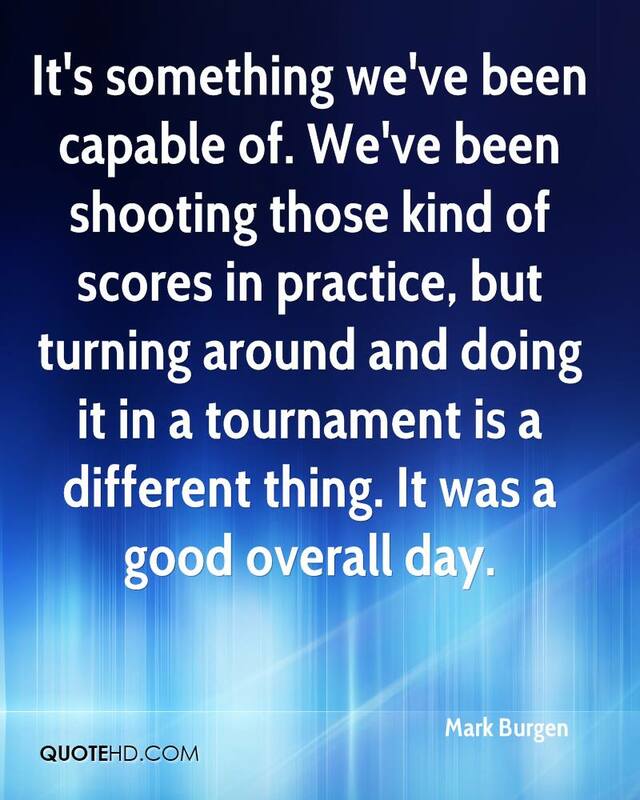 We've been shooting those kind of scores in practice, but turning around and doing it in a tournament is a different thing. It was a good overall day.